The security lines at Atlanta’s Hartsfield-Jackson Airport took more than an hour to get through on Monday morning. 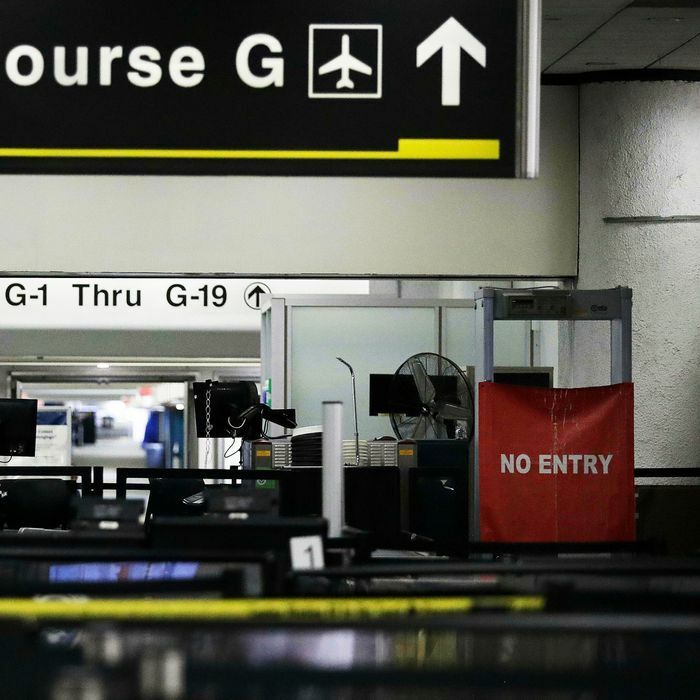 Some security checkpoints and ticket counters in Houston’s George Bush International Airport were shut down Sunday, and still haven’t reopened. Similar scenes have taken place in Miami and Washington, D.C.
As the partial government shutdown enters its fourth week, the nation’s airports and the furloughed federal workers who make them run are feeling the effects more than most. And many are responding by not coming to work. According to TSA spokesman Michael Bilello, 7.6 percent of TSA agents were out on Monday on unscheduled absences. That’s more than double the 3.2 percent who missed the same day last year. “We don’t believe the current situation is sustainable. We’re advocating for other solutions to make sure that TSA agents get paid,” Christopher Bidwell, of the trade group Airports Council International-North America, told Bloomberg. As “essential” government employees, TSA agents are required to work during the shutdown, even though they won’t be paid until the government reopens. TRAVEL ALERT: Security lines at @ATLairport stretched more than an hour long this morning amid the partial federal shutdown. Airline-industry officials worry that they are particularly likely to stop showing up because their relatively low pay means they could quickly struggle to pay bills without money coming in. The dire financial situation for many TSA workers is made clear by some of the supports popping up to keep them afloat. In Seattle, the airport connected struggling agents with credit unions and utilities that shared information about programs for short-term loans and late bill-payment assistance. The shutdown’s damage extends far beyond security lines. The FAA’s aviation safety inspectors, who are not deemed essential, haven’t been working during the shutdown. Last Friday, the FAA moved to recall some of the furloughed workers in an effort to keep up the safety oversight it’s responsible for. Like TSA agents, air traffic controllers, whose union is suing the federal government, are working without pay. At least a few can rely on their Canadian co-workers for lunch. But as the shutdown drags on, airport workers are growing more desperate. Some are responding by blasting Ludacris over the PA at 5:45 a.m and one has taken to GoFundMe to raise money for bills. Outsiders, meanwhile, are calling for a strike as the shutdown drags on with no end in sight.